Viknesh Vijayenthiran September 27, 2017 Comment Now! 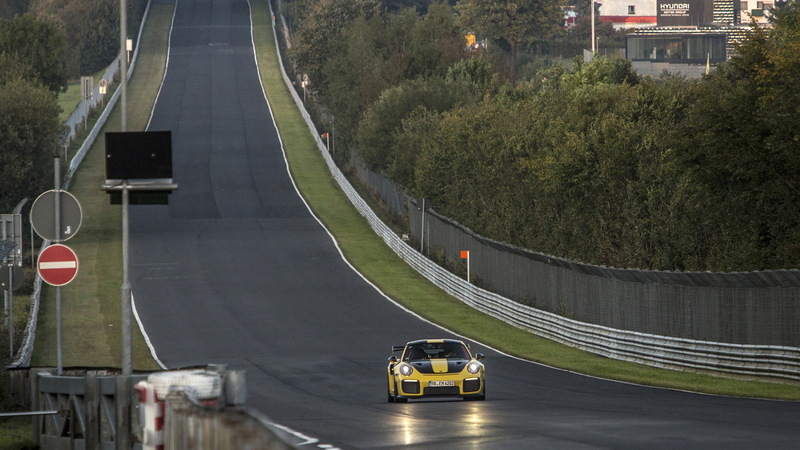 All hail the new king of the ‘Ring. Porsche has done it. 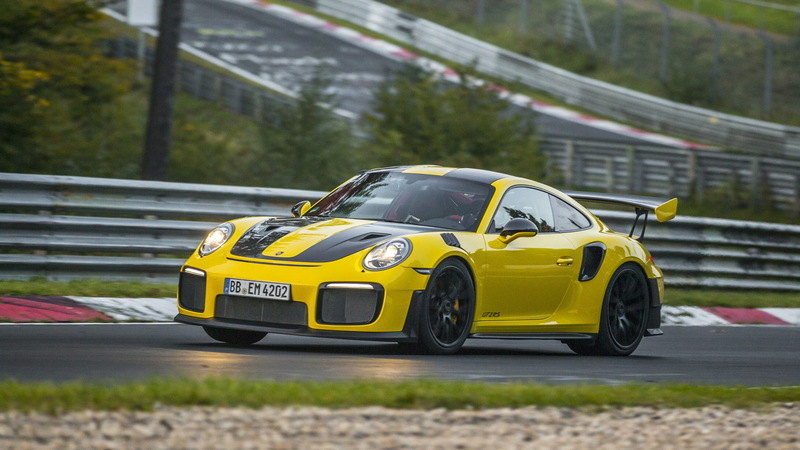 The German sports car marque’s latest baby, the 2018 911 GT2 RS, has lapped the punishing Nürburgring-Nordschleife in time of only 6:47.3. That’s the new record for production cars, and it was achieved with drive only going to the rear wheels. More amazing still is that Porsche didn’t just shave a few milliseconds off the previous record. It absolutely smashed it. The previous record was the 6:52.01 set by the all-wheel-drive Lamborghini Huracán Performante in 2016. The fastest time for a rear-wheel-drive car was the 7:01.3 set by a Dodge Viper ACR at the start of September. 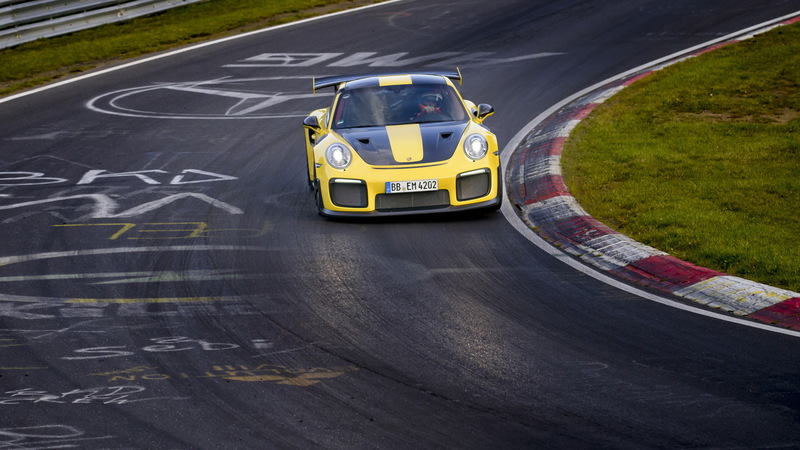 The GT2 RS's record run took place on September 20 and was by no means a fluke. 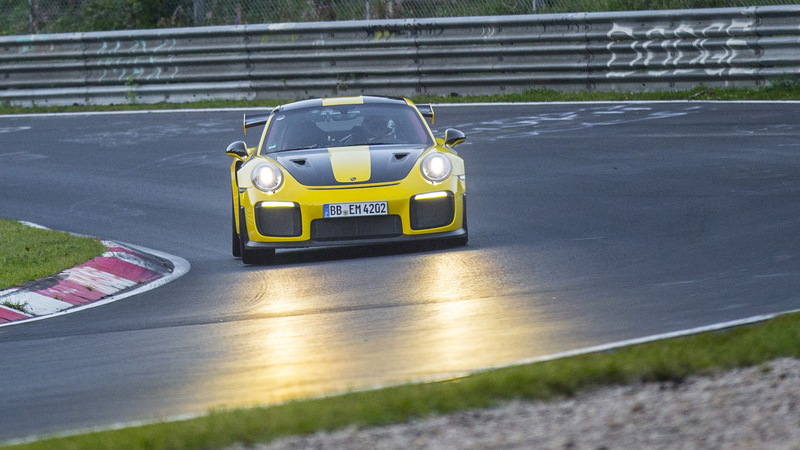 With Porsche test driver Lars Kern and factory racing driver Nick Tandy taking turns on the track, the car was setting times below 6:50 almost immediately. In the end it was Kern who set the fastest time. His average speed on the 12.8-mile lap was 114.4 mph. Porsche unveiled its latest GT2 RS in June at the 2017 Goodwood Festival of Speed. With 700 horsepower and 553 pound-feet of torque generated by its 3.8-liter twin-turbocharged flat-6 engine, the car is the most powerful 911 ever sold, and now it’s the fastest too. It means the two-seater weighing 3,241 pounds can accelerate from 0-60 mph in 2.7 seconds and top out at 211 mph. Testament to the engineering prowess behind the car, it ran 9.7 seconds faster than Porsche’s own 918 Spyder hypercar which not only has significantly more power but a sophisticated all-wheel-drive system, too. Even Porsche was quite stunned by the result. Sadly, Porsche is building just 1,000 examples, and they’re all sold out. The price tag, not that it matters much now, is $294,250. Lucky customers awarded a build slot can look forward to deliveries starting in early 2018.